This phone is worse i ever bought, i had it a month ago. First few days, this phone keep restarting when i use camera, Bluetooth, Texting,mp3 player even when i open facebook. And then when i send MMS, this phone tell us that sending faild, but actually it was send perfectly. (very weird). I try to update this software with PC, then i pressed "c" button (like the order), but i press it for 15 minutes, nothing happend. Some say that this phone made by SAGEM not SE, i dont know if it's true or not ? but when i read wikipedia, some SE phones are made by SAGEM..
due to low internal memory of this phone must pepole have hang & restart problem, shame to sony, when there is no 8MB memory in the market, they limit free memory to 5MB! , the phone have not good battery function and using a external memory lead to phone consume more battery! i bought this mobile before 2 months. i cant send msg by this mobile.it often shows out of memory.and get switch off itself many times.photos can not taken in landscape mode. Dirty phone...Wat to do i alrdy had dis..am facing same prblems.. any idea to overcme frm dis plz sugest me..am dìstrbd..
AnonD-987, 27 Feb 2011guys this is a gud looking mobile...people who have spiro sud go sony service center they'll u... morei want ta buy a spiro so pls suggest me !!!!!!!!!! i've buy it..about 1 week ago..what should i do??? W100i prob - music bass is poor. - Between Normal and bass is same. - Cannot select Megabass equliser. - After update Megabass is missing. - Always hanging when sms,call,take pic. sometimes i doubt whether its really SONY ERICSSON? i bought @ 4700 on 01-02-11 & i m going to resell it but i m getting only 2500. so confused wot to do? shall i thro it in DUSTBIN? 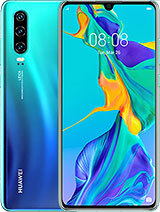 what is your opinion about ring volume & voice quality of this phone?